Enjoy the luxury of our 1,800 sq. ft. suite, with one king bed, Stone Mountain and city views, furnished balcony, wet bar, sitting areas and guest half-bath. 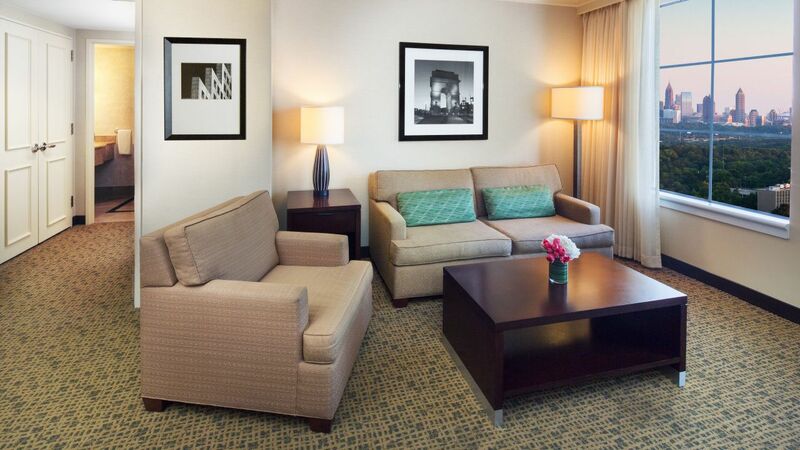 Rest comfortably in our 650–700 sq. 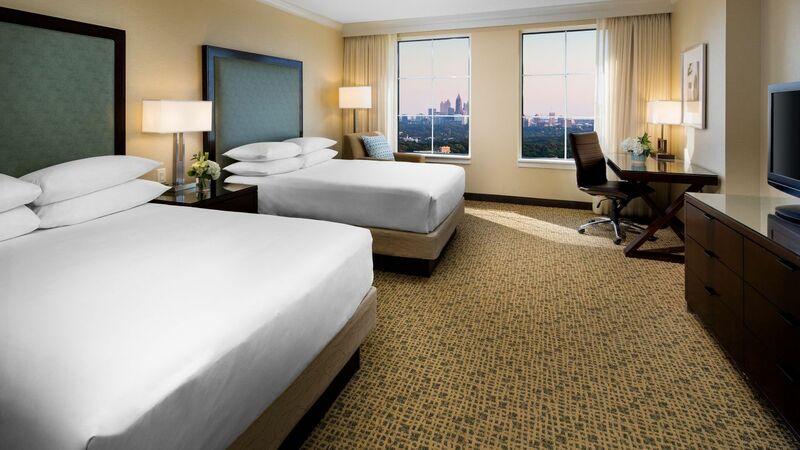 ft. suites, complete with one king bed, separate sitting area and soaring Atlanta views. Select suites have private balconies. Unwind in 1,240 square feet, with one king bed, Stone Mountain and Atlanta views, marble foyer, wet bar, sitting areas, extra half-bath, and master bath with marble vanity. Entertain in our 2,500 sq. ft. suite, with one king bed, furnished private balcony, marble foyer, wet bar, master bath with deep soaking tub, extra half-bath and sitting areas with sweeping views of Stone Mountain and the Atlanta skyline. 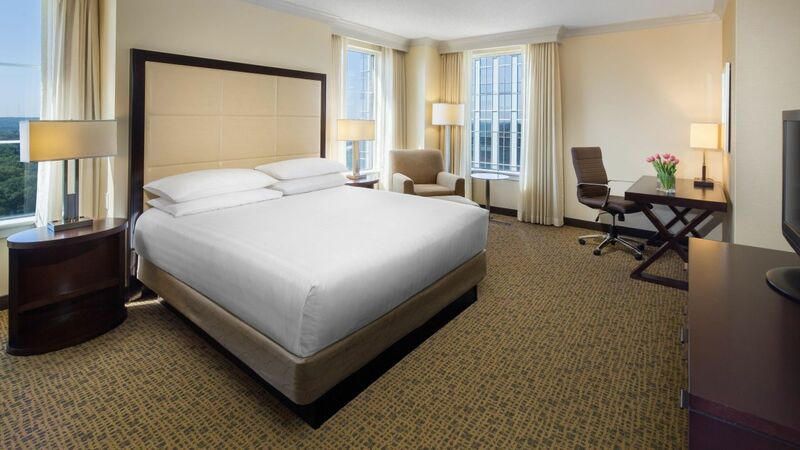 This ADA-compliant, 400 sq ft guestroom features one king bed and an accessible shower, plus additional ADA amenities. This ADA-compliant, 400 sq ft guestroom features one king bed and an accessible bathtub, plus additional ADA amenities. 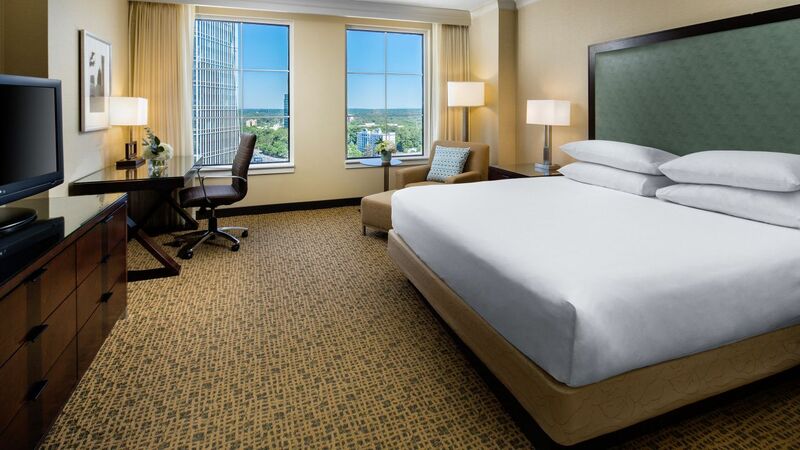 This 400 sq ft guestroom offers two double beds and Grand Club access which offers continental breakfast, evening hors d’oeuvres, city views and more. 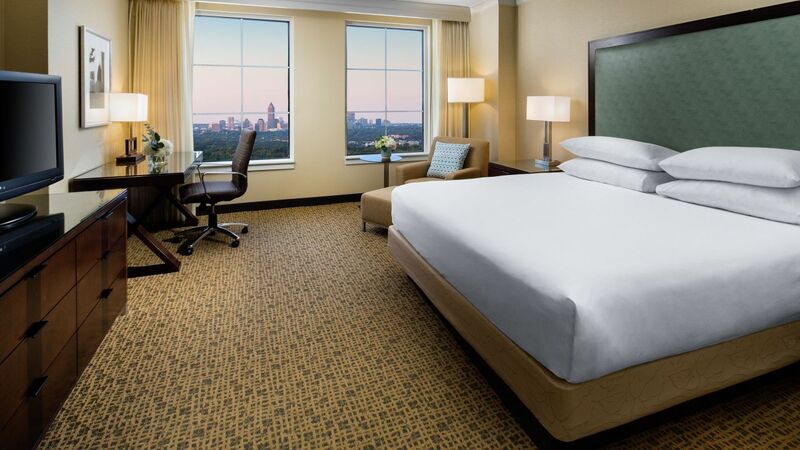 This 400 sq ft guestroom offers one king bed and Grand Club access which offers continental breakfast, evening hors d’oeuvres, city views and more. Designed for a better night’s sleep, this 400 sq ft guestroom features one king bed or two double beds, plus specialized air purification system and treatments. Enjoy city or garden views from this 400 sq ft guestroom. 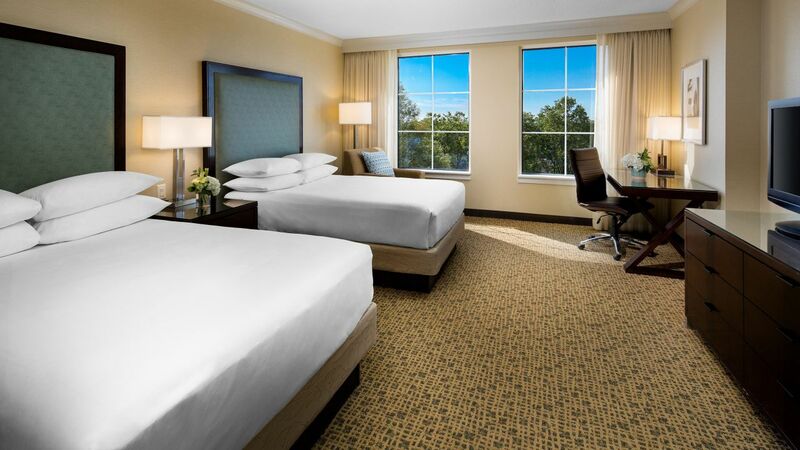 Perfect for any stay, this luxurious guestroom offers two double beds and a separate work area. Enjoy city or garden views from this 400 sq ft guestroom. 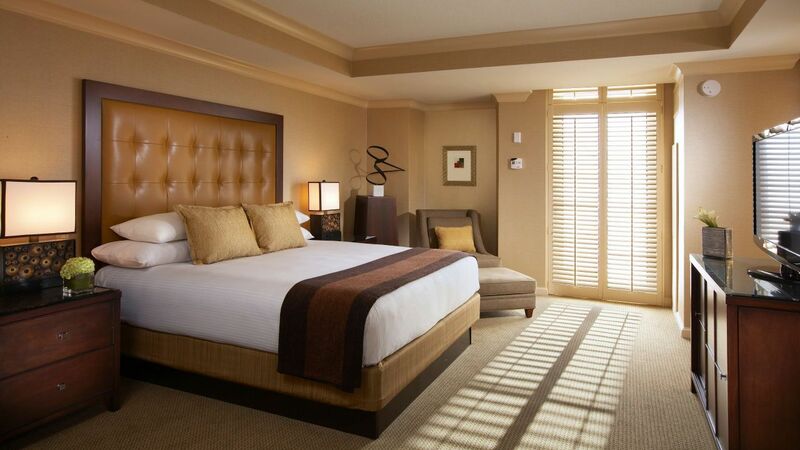 Perfect for any stay, this luxurious guestroom offers one king bed and a separate work area. Located on a high floor level, enjoy beautiful city views from a 400 sq ft guestroom offering two double beds and spacious work area. Located on a high floor level, enjoy beautiful city views from a 400 sq ft guestroom offering one king bed and spacious work area. Kick your feet up with extra space in an exclusive corner location, featuring one king bed, panoramic views and sitting area set within 450 sq ft of space.